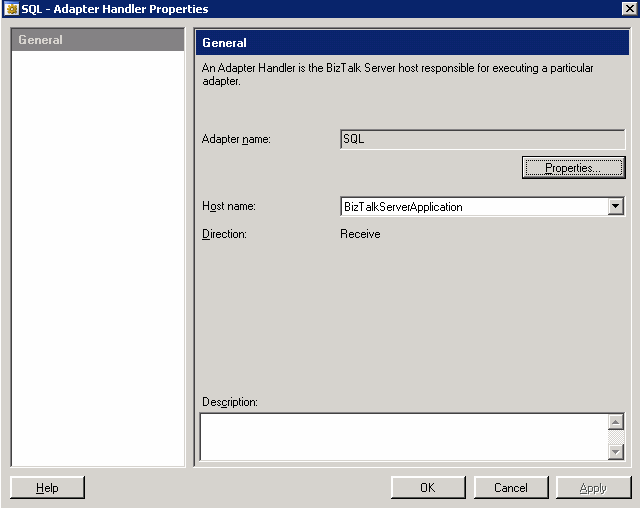 Recently, a client of ours was running into a problem with our SQL Receive Locations being automatically disabled by BizTalk 2006. This happened whenever the IT admins took down the SQL 2000 servers and/or the network for maintenance. 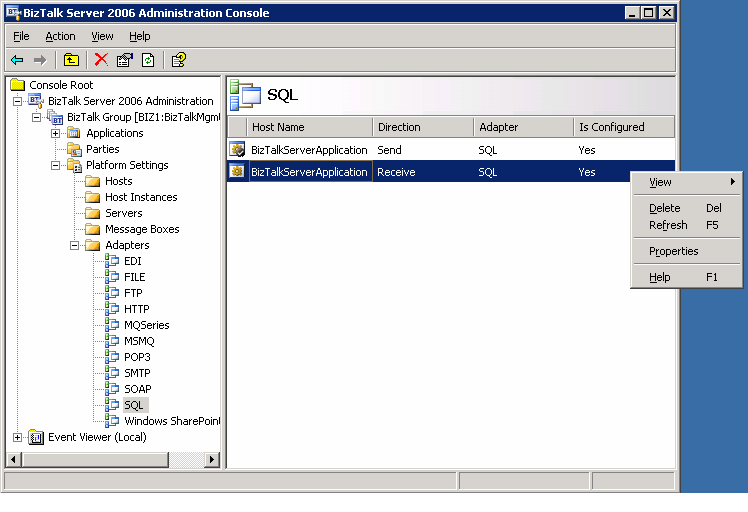 Some background: BizTalk 2K6 is used in an integration solution that requires querying a SQL 2K database for new records. Due to requirements of the system, the data needs to be pulled every 15 seconds. The problem is when BizTalk receives 5 errors in a row trying to retrieve data from the SQL data source – when this happens, BizTalk will disable the receive location and generate an error in the event log. Since we poll the SQL server every 15 seconds, this results in the receive location being disabled anytime the server or network is down for over a minute. And since the client hasn’t implemented event log monitoring, an entire weekend would go by before anyone would notice that the data was piling up in at the source. I did some research and eventually found where BizTalk stored the setting for the error threshold. The following describes how to get to the setting in BTS 06. 3. On the following dialog box, select the Properties button. 4. 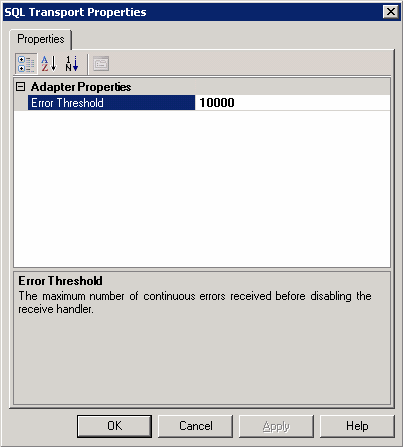 Change the setting for the Error Threshold property. Click OK/Apply, restart the respective BizTalk host instances and you are done. Note: This setting is global to the BizTalk host you selected in step 2.
hi, where to configure this taht we are getting data from every 15 seconds as you wrote in your post , please tell.